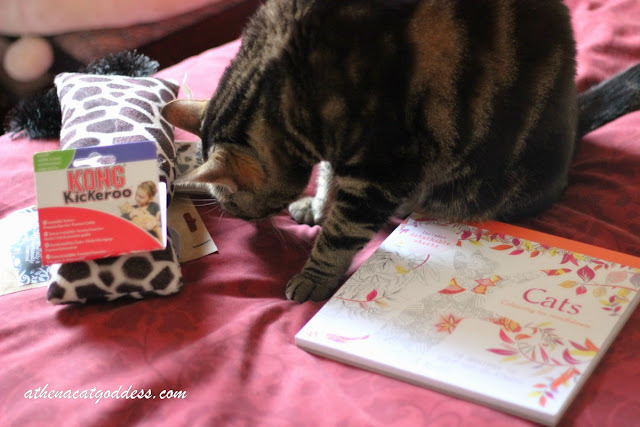 Today I'm letting Mum tell you all about the cool cat lady stuff she got from My Purrfect Gift Box. Mum received this cat lover's subscription box free of charge so we could test it out for ourselves and write an honest review. I can honestly say that the box was lovely, and there were also a few kitty treats inside for me too. 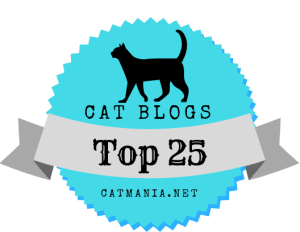 I particularly liked the catnip kicker toy and had loads of fun with it. But the best thing of all of course was this rather marvelous box. 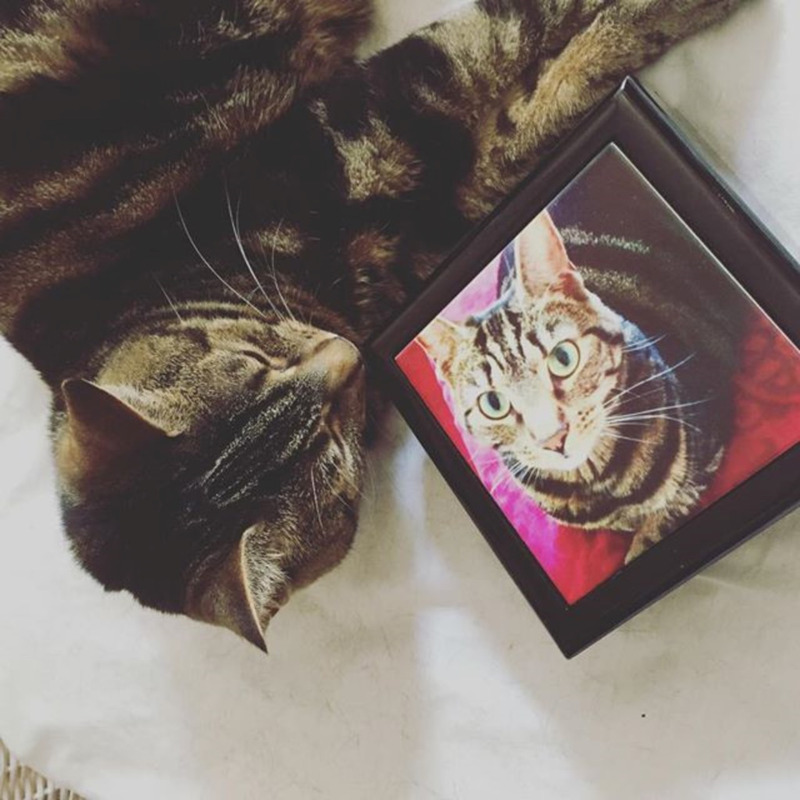 I'm so glad I got to review this beautiful product as it truly is a most remarkable gift for any cat lady, and if, like me, you are in need of cheering yourself up, I would highly recommend ordering a box for yourself. As I began to unwrap this stunning looking box I couldn't tell who was more excited - me or Athena. And as you will see from the video shortly, once the beautiful purple wrapping paper was unrapped, Athena dived straight in. 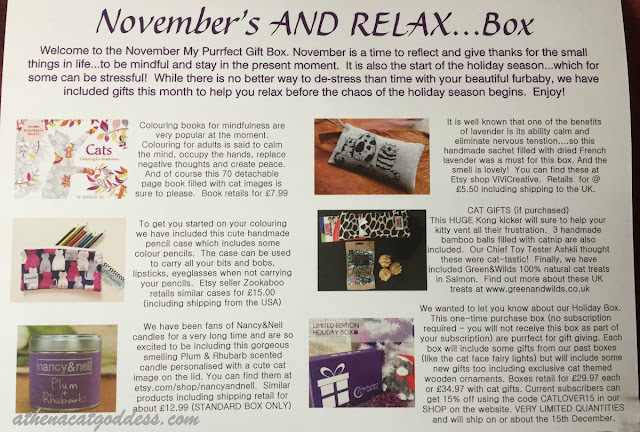 The November box theme is AND RELAX, and this couldn't have arrived at a better time for me because I was having a pretty miserable morning on the day it was delivered. And even though I have the lovely Athena to help me chill on days like these, the super delightful gifts in this box gave me an extra reason to smile. What struck me at first was how this exquisite box came so well wrapped in this pretty purple paper. This made it feel inviting and I sensed that a lot of thought went into choosing the items and packaging. I simply LOVE the logo, and PURPLE just so happens to be my favourite colour, so this created an extra special personal experience for me. 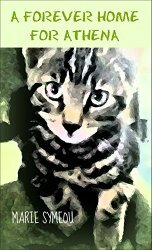 And this cute little photo of a dear sweet lap kitty melted my heart and gave me another reason to smile. Adorable, isn't it? On the reverse of this sweet card there is a complete list of what's inside the box. And what lovely delights awaited us both as you can see! 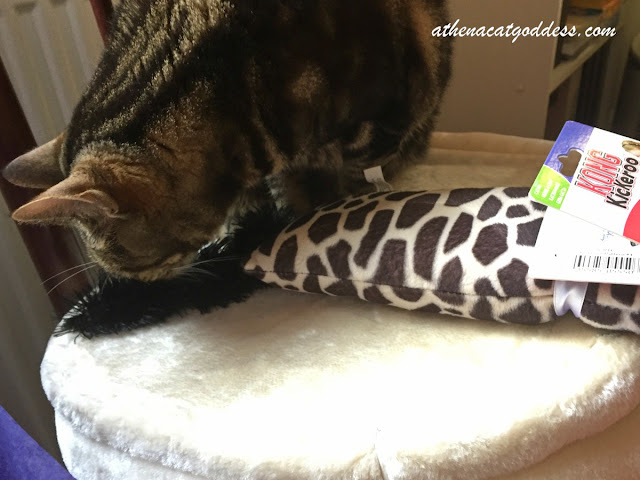 As you will soon see from our unboxing video, Athena sniffed around a bit and then made a dive for this HUGE catnip filled Kong Kickeroo. I could clearly see beforehand how much she would love playing with it. 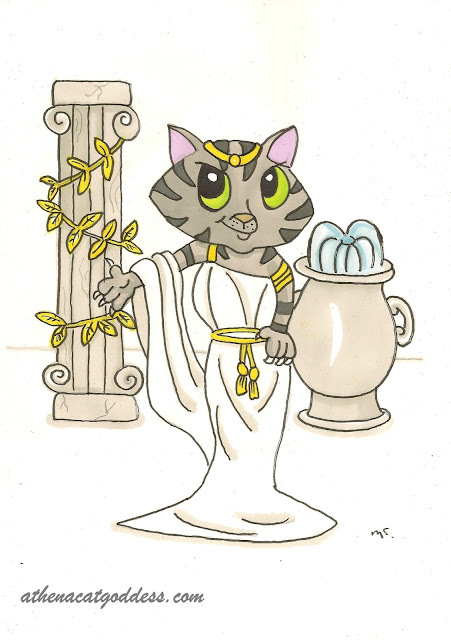 On the label it states that it is intended to help promote the cat to exercise, and Athena, being an indoor cat, certainly needs more of that. 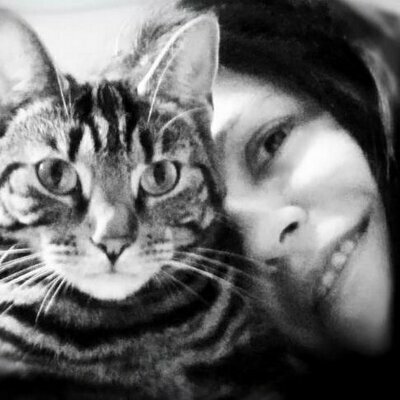 Plus, watching my beautiful fur daughter having fun gave me another reason to smile and I soon forgot my troubles. 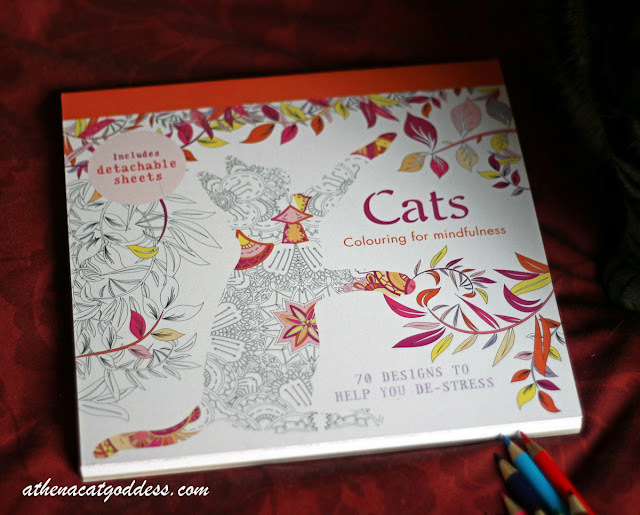 This Colouring For Mindfulness book is just purrfect for easing away stress and partaking in some mindfulness (which admittedly I find extremely hard to do.) I haven't used a colouring book since the 1980s, so maybe I should really try this. In fact, I want to try it and I will make sure I will do so over the holidays. 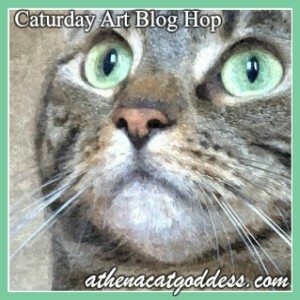 I might even show you the results in one of our Caturday Art Blog Hop posts! I really like that the book comes with with detachable pages so if you would like to frame your artwork you can. The book normally retails for £7.99. 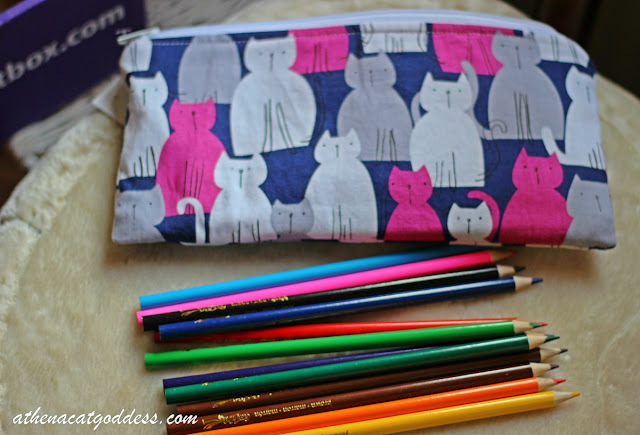 The cat colouring book also came with a set of colouring pencils in this charming pencil case by Zookaboo. The handcrafted case can also be used to store make-up and for carrying around other bits and bobs too. I use lavender a lot to help me relax and for cleaning around the house so already know of its huge benefits. From personal experience, it really does help with stress and can help induce calm. It's very IMPORTANT to note however, that the Lavender sachet below is not a cat toy and is intended as a gift for the cat lady. 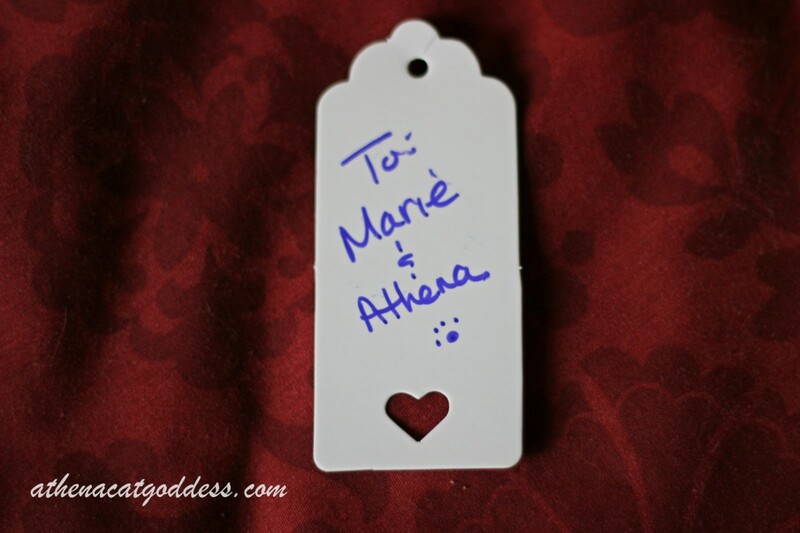 I am always very careful about what I leave around the house and in front of Athena, so when I noticed she couldn't wait to get her graceful but excited little paws on it, probably thinking it was something for her to play with, (and she is very attracted to some scents), I took it away immediately. 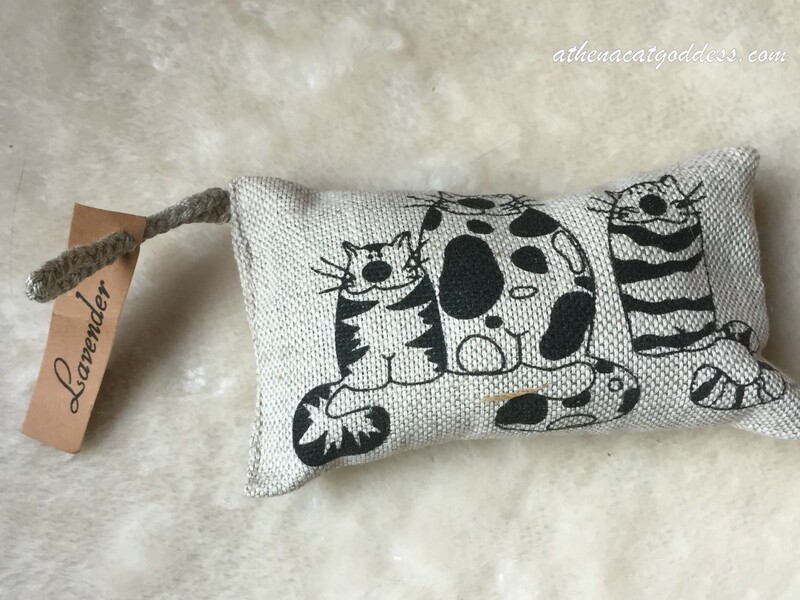 Though this product smells lovely, Lavender can be toxic to cats so I'm keeping this in my wardrobe instead to help keep my clothes smelling sweet. As an added bonus, lavender makes a great moth repellent! 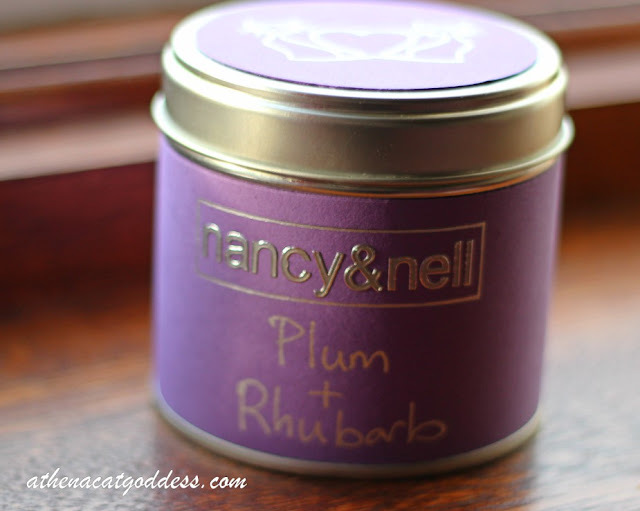 Another lovely little product is this gorgeous smelling Plum and Rhubarb scented candle by Nancy&Nell. 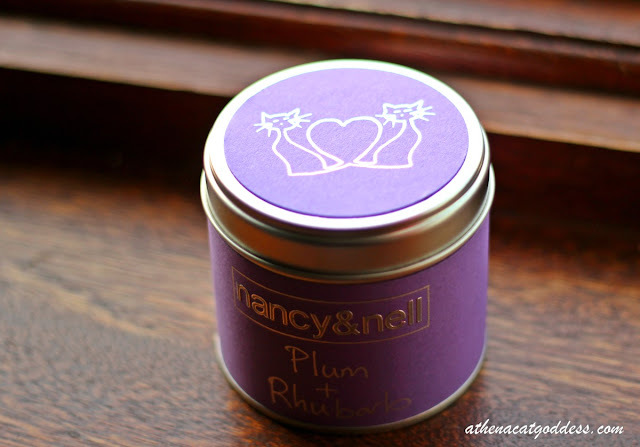 These personalised candles are made from a high grade blended soy wax and you can find them on Etsy. Ready to attack Kong Kickeroo! 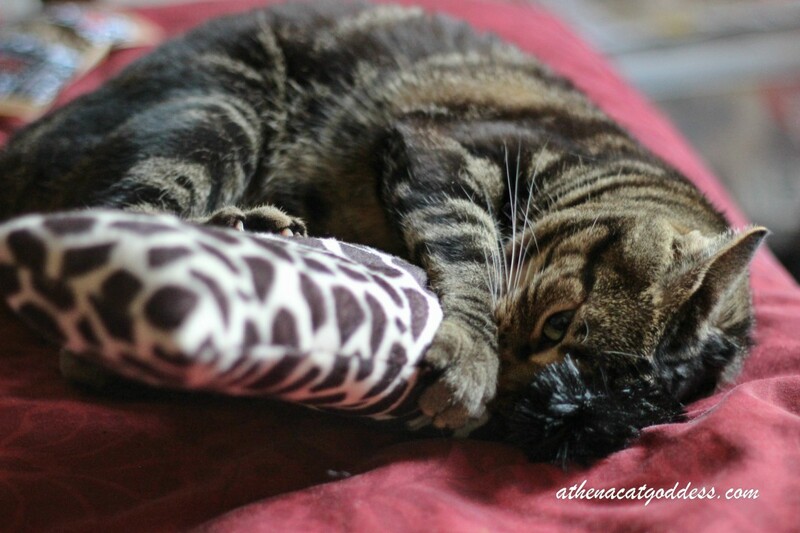 As you can see, Athena loves playing with and attacking her HUGE Kong Kickeroo. It was just so entertaining watching her wrestle with it one minute and snuggle with it the next. This was definitely the highlight for me and it gave me so such pleasure seeing my little girl enjoying herself as we unboxed My Purrfect Gift Box together. Next for Athena were these healthy Salmon Niblets from Green & Wilds. 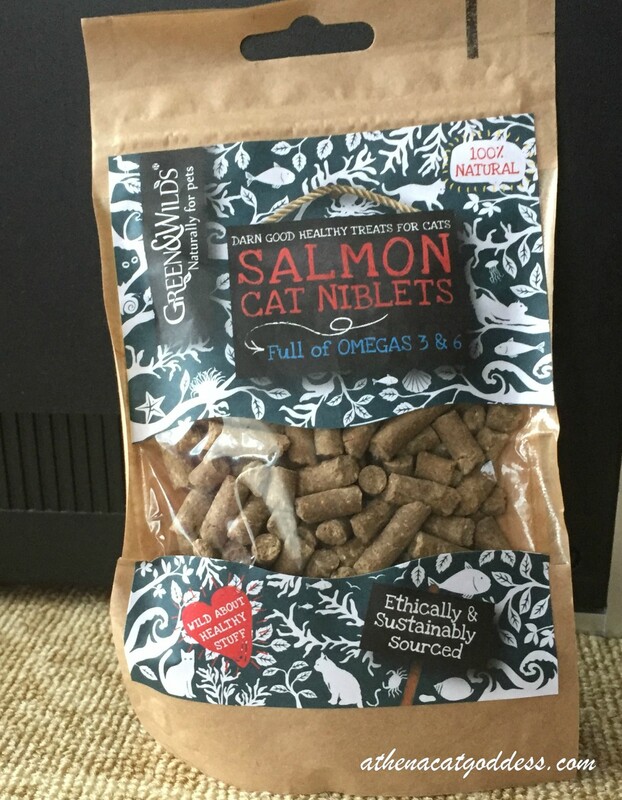 I was pleased to read that these are 100% natural, full of Omegas 3 & 6, and naturally dried at low temperatures to preserve high nutritional values. Athena also received 3 catnip filled bamboo balls but I forgot to take a photo of these. However, you can see them in the photo of the card above and also in the unboxing videos we made. You can view these videos at the end of this post. 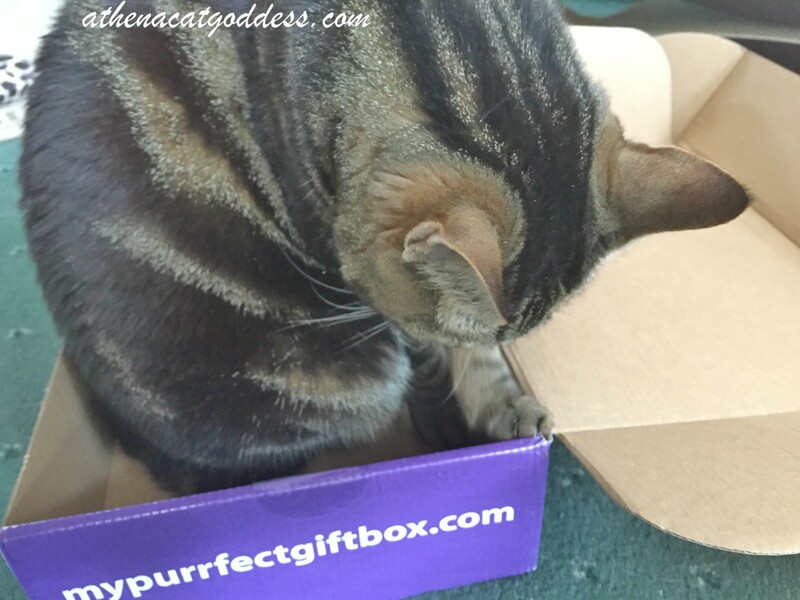 What is My Purrfect Gift Box? My Purrfect Gift Box is the only gift subscription box in the UK for cat lovers, handpacked with fantastic cat-themed finds from around the world. Many of these items are hand made. Boxes are shipped starting the 20th of each month. 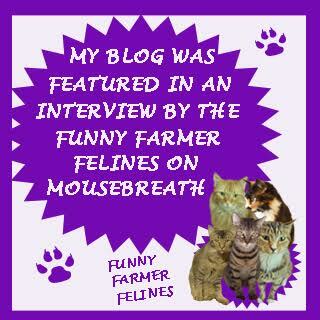 Who are My Purrfect Gift Box? 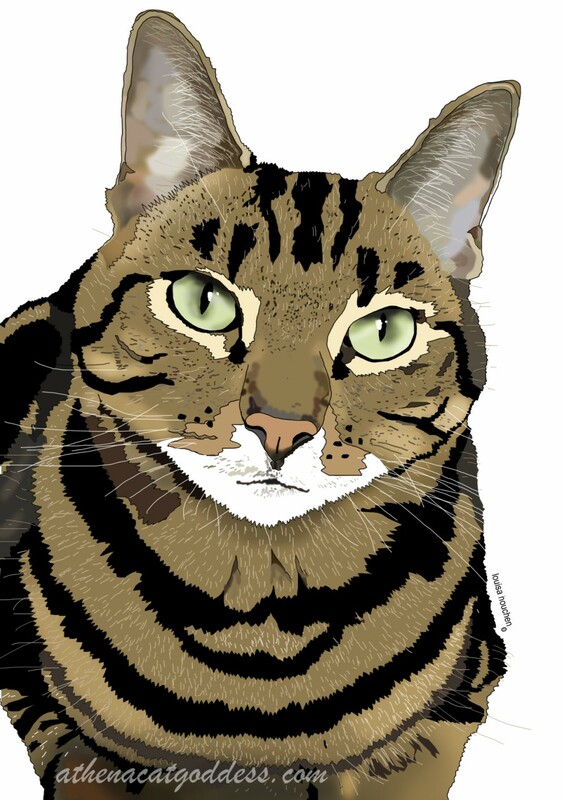 My Purrfect Gift Box is a family-run business, founded by Kim and Juan Kniveton. The couple also own the idyllic Boodee Beg Boarding Cattery on the Isle of Man. This is a business that definitely knows and loves cats, donating 5% of the sales of each month’s boxes to a chosen cat charity. 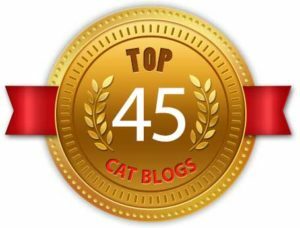 "Each month we choose to focus on a different cat charity, rescue centre or shelter and highlight the work they do through our social media sites and through information that comes in each box. We then donate 5% of all our profits from that month’s box to our chosen charity of the month... 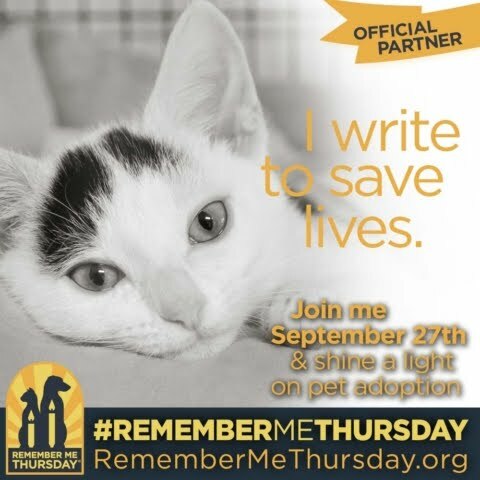 So you can be confident that with every My Purrfect Gift Box you receive, you are also giving to help support the lives of cats." Buyers first choose a gift box size to suit their budget. 'Lite' (starts at £15.95 per month) or 'Standard' (starting at £20.95 per month) - then a billing cycle/subscription length; monthly, 3 months, or 6 months. With a longer subscription, the greater the discount to the customer. 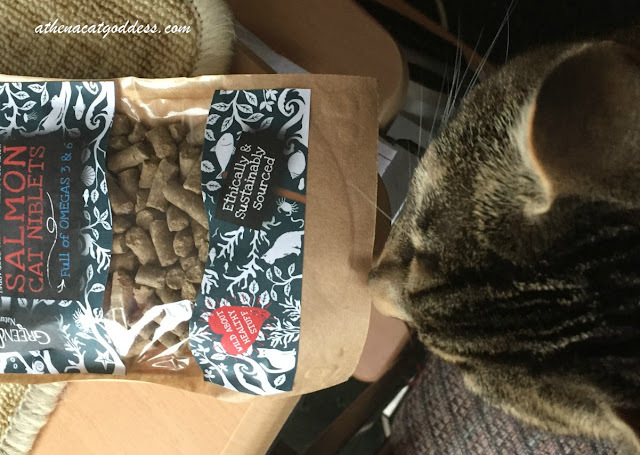 I loved this box so much and think it's a great idea to have products thoughtfully chosen for the cat lady in your life (or for yourself!) 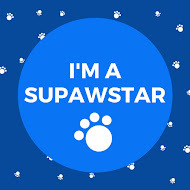 As an animal advocate, I'm also pleased that this company is also helping charities too. I would definitely order a box in the very near future, and would certainly consider taking out a subscription. 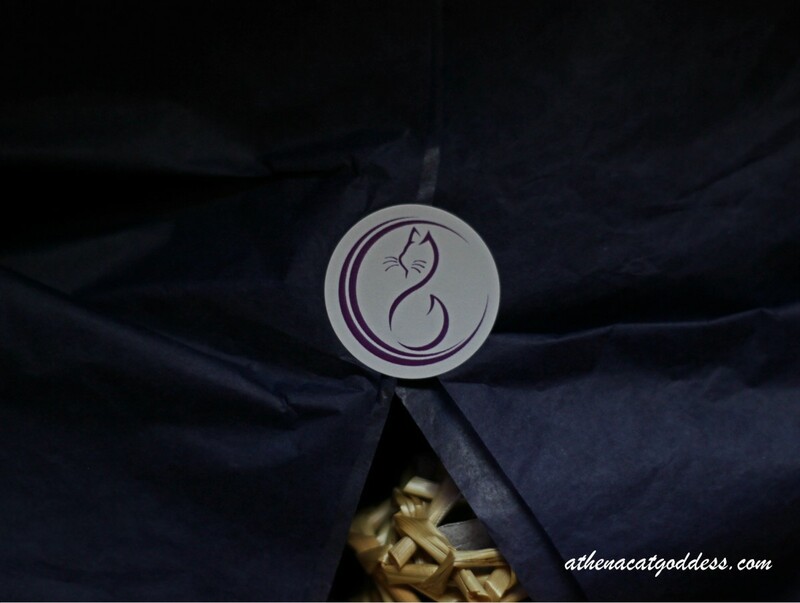 Cat men please note: Though the gifts chosen are mostly suitable for cat ladies, if you are a cat man or cat daddy (and I know there are many of you out there that are), you can email catlady@mypurrfectgiftbox.com and they will start up a box for you. 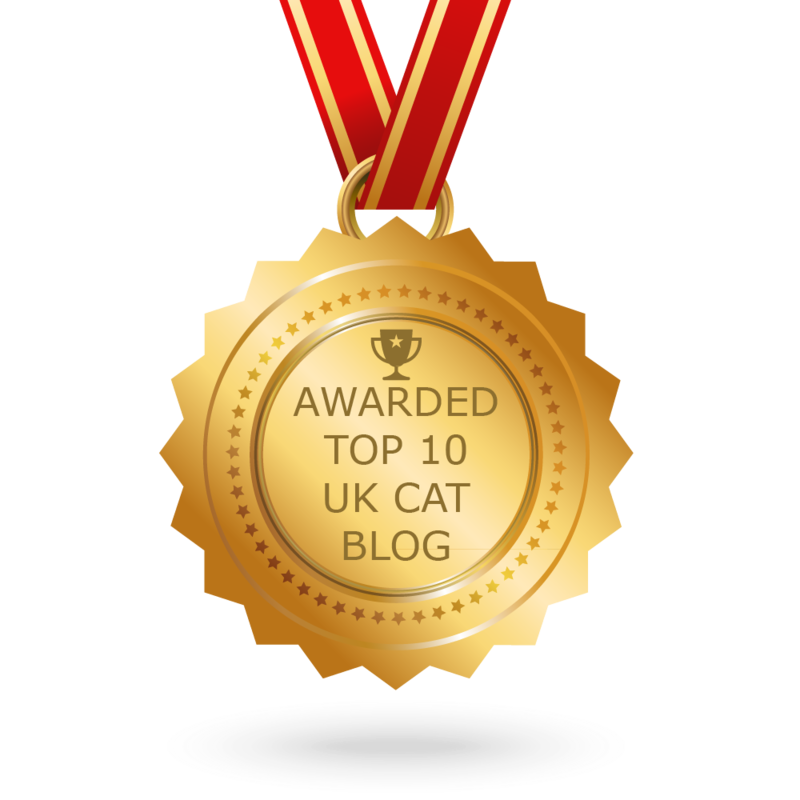 So, come on you cat daddies, you deserve a treat too so just go for it! That pencil pouch is so cute! Great unboxing video, too. This looks like a great subscription box for any cat lady! Who doesn't like presents picked out 'specially for them, AND for the kitty! Very cool! Aren't kitty subscription boxes the best??? 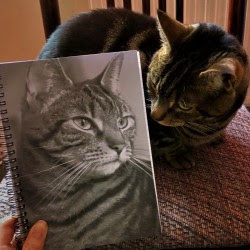 This one sounds just pawsome...and I hope to see your coloring in a future Caturday Art post!